I've been making cakes for about a year and a half now, and where I can definitely see improvements, there's definitely always room for growth! In my normal day to day, I work as a paraprofessional in a middle school working with kids with special needs and as a part time receptionist at a nursing home. I've been married for just short of three years, and am so blessed to have a husband who supports all the things I get myself into!! 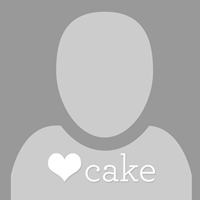 Different Ways To Price For A Cake And Cupcakes Order, Nothing Specific, More Curiosity!